Jaguar F-Pace is a power-packed vehicle manoeuvred with a Jaguar lightweight Aluminum platform in combination with its standard powerful engine. This new gen machine stands out with its high-tech features like Electronic Power Assisted Steering, All-Wheel-Drive System, and Driveline Dynamics Software. Jaguar F-Pace is launched with the choice of gasoline or diesel engine. The new range of Ingenium is introduced to harvest the high performance and power. New stop and start technology and smart regenerative charging system use the energy of braking to rev up the power of batteries. It is mounted with 2.0 litre i4 turbocharged Diesel engine and 3.0 litre V6 supercharged engine. Both engines represent the new breed of Ingenium. This vehicle is developed for sheer performance and packed with the eight-speed automatic transmission, offering rapid shifting of gears for an effortless acceleration. Also, you can control gearshifts manually with a touch of a finger via the steering wheel paddles. With the top speed of 250 km/h and ability to reach 0-100 km in mere 5.5 seconds, it is an incredible car for the ultimate driving experience. F-Pace showcases a distinctive aura with its agile looks and sporting character. Visually, it is like the sports variant, Jaguar F-Type, and offers a unique road presence. Aerodynamic design allows extra comfort and thrust to your driving experience. It not only provides stability at high speed, but also increases the down force, reduces the fuel consumption, and eliminates the distracting wind noise. An SUV with the genes of a sports car is a rare feat and only Jaguar can make it come true. F-Pace offers a spectacular view from every angle, whether it is front, side, or rear. Head grill, sharp curves, and sleek bumpers bestow stunning looks to this wonderful car. Tucked with J-Blade LED, it offers a commanding presence on the road. This is an exclusive SUV festooned with a stunning tapered roofline, rear bumper crease line, and an innovative teardrop shape. Powerful rear haunches offer F-Pace a sporty appearance and seductive backdrop. It is enhanced with aerodynamically efficient and lightweight alloy wheels offering a dynamic style to this vehicle. The cabin of Jaguar F Pace is beautifully crafted with a sporty and contemporary design. It is installed with the latest range of accessories. The interiors are created from the premium materials and its sophisticated settings are further accentuated by the striking features. Driving through the miles of the road becomes effortless due to its comfortable leather seats. Its’ premium dual colour-themed interiors, mounting dashboard, head up display, comfortable rear seats, and touch screen entertainment are bound to deliver the sheer satisfaction in every journey. Features like head up display put every statistic on your windscreen providing relief to your neck while driving. Enriched craftsmanship along with configurable mood lighting system offers a wonderful driving experience every time. The rear seats are wide enough to provide an ample space for accommodating three adults comfortably. Back seats are also featured with electric recline that provides perfect seat adjustment with a single touch. Interior of the F-Pace is incomplete without mentioning its Panoramic Roof. The wide transparent glass roof offers majestic views of the surroundings, especially under the moonlight. The tint over the glass provides an escape from the excessive heat and maintains your privacy. Jaguar F-Pace has advanced technology features for enhancing your confidence and assisting you for a comfortable drive. It is made versatile with rear seats in 40:20:40 configurations. This feature enables a different combination of rear seat fold, allowing an adjustment of any bulky items and additional passengers easily. Gesture tailgate is embedded with an innovative technology that allows opening and closing without a physical touch or using a key. Simple foot presents under the rear flank on the rear side can open and close the door. Driver’s convenience is always a top priority for the R&D team of Jaguar. In this context, they have decked the rear space with reversible load space floors that convert into easy to clean, rubberized surface when needed. F-Pace is a cluster of high-tech features and specifications. It has InControl feature truly personalized for the valued Jaguar customers. It provides state-of-the-art multimedia along with endless features to the driver. This technology offers connectivity, entertainment, and information with a single touch along with the real-time assistance. The Jaguar InControl Touch also includes navigation guidance, phone connectivity, text-to-voice integration, InControl Apps, and climate control feature. These are the stupendous features and specialties that make Jaguar F-Pace a spectacular vehicle and an easygoing companion for you. § Sheet Metal Elegance – The design of the Mazda6 is created for transforming the ordinary sheet metal to embody the vitality of life. It exudes the power and elegance of a wild animal as if it is ready to pounce on its prey. § Enhanced Visibility – Everybody wants better visibility while driving and the Mazda6 perfectly excels in this regard. The vehicle is updated with the door mirrors to move part of the integrated turn signals to the front. Moreover, if the mirror width is reduced slightly, it becomes easier to steer through the narrow roads and the tight spots. In addition, high beam control helps you see better while driving at night. The system mechanically switches to low beams while detecting oncoming traffic and vehicle ahead. § Reinvented Wheel – Usually, a flashy and dynamic wheel lessens its functionality; however, the Mazda6 is designed by pushing the boundaries without any compromise on the performance of the wheel. Several designs were tested before reinventing the wheel of the Mazda 6. The engineers obsessed with the goal of presenting the subtlest technology for improving performance have spent around eight years for developing the subtle technology. Ultimately, the wheel is designed which looks beautiful, gives a strong performance and is also light in weight. § Progressive Design – Grand Touring models of the Mazda6 often come with a striking signature front grille lighting accent, which adds to the bold first impression of the car. § Peace & Comfort – If you want to get peace and comfort, the Mazda6 will be the perfect choice. The cabin of this car is designed for enveloping in sporty elegance with a large centre console as well as a sleek dash and instrument panel, matching the leather-trimmed sport seats. High grade leather seats provide you premium comfort. § Unique Engineering Technology – You can drive this vehicle without compromising the fuel efficiency. The unique engineering of SKYACTIV Technology offers better driving experience with a remarkable EPA estimated 35 highways MPG1. SKYACTIV engine can compress air-fuel mixture in cylinders to an extraordinary amount, squeezing more energy from every drop of fuel. You will enjoy an outstanding efficiency by enhancing your driving dynamics with reduced consumption of fuel and can conquer more miles uninterruptedly. SKYACTIV-Vehicle dynamics with G-Vectoring Control facilitates smooth as well as less fatiguing drive for yourself and your family. Moreover, the high efficient car movement control system operates in the background at the time of spirited driving. Besides, if you are cornering the car, the system works flawlessly by making an adjustment to power delivery, shifting the weight of the vehicle on initial turn-in and all the way through the corner. It’s true that the effect is subtle but gives you a good feel after a great drive. § Infotainment System – Mazda6 offers 2 infotainment systems providing information, entertainment as well as outside world connectivity. You must only make use of the multi-function Commander control on the centre console and complete touchscreen display for navigating the multitudes of functions quickly and intuitively. § Bose Surround Sound Audio – Your driving experience will remain incomplete if you comprise on your sense of hearing. To offer you an outstanding driving expertise, the Mazda6 (cars.about.com/od/mazda/fr/2014-Mazda6-Review.htm) comes with 11 speakers surround sound audio system, which delivers clear and detailed audio, letting you enjoy radio broadcast, CD, MP 3 device, satellite radio and more. § Traffic Sign Recognition – Mazda6 comes with Traffic Sign Recognition System 4 which helps you to read road signs like ‘speed limit’, ‘do not enter’ and ‘stop’ by making use of strategically mounted cameras. The information is then revealed in Active Driving Display in full colour to make you alert and informed without taking your eyes off the road. This removes distractions through the projection of critical driving information right in front of you. The innovative display deliberately placed in your field of view, right above the gauge cluster helps you process fast information by keeping eyes focused on the road ahead. So, what are you waiting for? Take a smarter approach to drive in a better way by getting a Mazda6. Pre-owned luxury cars are quite popular among buyers who want to get more value for the money they spend. Besides avoiding depreciation that takes place in the original value of new cars, the large selection of used cars is another reason making pre owned cars a worthy purchase. 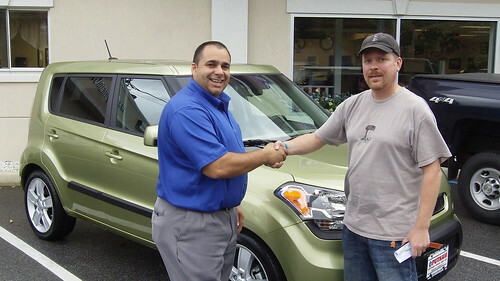 However, finding and buying a pre-owned car is not as easy as it might seem. It is understandable to have some apprehensions and doubts regarding the condition of a used car; that is why it is crucial to put in some effort and time to carry out a careful research about the car before making an offer. Mentioned below are some very important things to check in pre-owned luxury cars. Personally visit to check the car you are planning to buy to look for any visible signs of damage. Almost every vehicle has some imperfections, which can be easily repaired. However, you should avoid buying a luxury car requiring repairs which can be extremely time consuming and expensive. You should take a close look at the vehicle and look beyond the surface. If you notice any major dents or poor paint job, then it might hint at a cheap repair or accident. Another thing to look for is the presence of rust on the body, frame and underbody. Applying a fresh coat of paint to mask rust is a common trick used by sellers, which an experienced mechanic can help you find out. After inspecting the exterior, check the interior. The odometer and speedometer should work well and report correct measurements. The tires should be analyzed diligently to check the level of wear and tear, as unevenly worn out tires mean that the suspension or wheels are out of alignment. The next highly crucial thing to look at in pre-owned luxury cars is the condition of the engine. 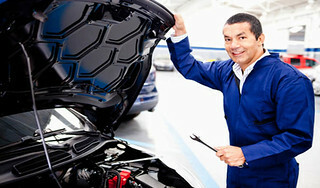 Look under the hood and if you see a dirty engine then it might signal at lack of maintenance. Similarly, presence of stripped or rounded nuts and bolts could indicate poor repair work. If the spark plugs appear newer than the other engine parts, then it is a good sign because it means that the previous owner has ensured regular tune up and maintenance of the car. Now, turn the key and notice the time it takes to start the car or any unusual noises coming out of the engine. Also look for smoke coming out of the exhaust, which might point towards internal problems requiring complete engine overhaul. The final and equally important thing is to take the car for a drive, as this way you can come to know a lot about the vehicle, such as transmission, brakes and alignment. Once you are behind the steering, keenly observe the controls and performance of the car and pay special attention to any clunks and groans, as such noises can indicate several underlying issues which, although repairable, can consume a lot of your money and time. Does the wiper, lights, air conditioner and sound system work properly? Especially notice any drop in the performance of the engine when the air conditioner is turned on. Now check the transmission, as there should not be any louder or clunking noises when switching gears in a car that has automatic transmission. Similarly, the gears should smoothly shift in manual transmission and any grinding sound could point towards bad synchronization. The next thing to look at is the alignment and it can be tested by taking your hands off the steering wheel while driving and noticing if the car gets pulled in any direction. Properly functioning brakes are crucial to enjoy a safe ride, so be aware if the car gets pulled into a side or shudders when you hit the brakes. This might be because of the lack of hydraulic fluid or the brakes could be loose. When you apply the brakes, the pedal should feel firm and if it does not, then the master cylinder might need to be replaced. Besides the things listed above, it is suggested to ask for the repair history of the car, whether you are buying it directly from the owner or through a dealership. Going through the report can shed light on a lot of things about the damages and repairs a car has received and thus save you from making a regretful decision. Hilary was in dire straits! She needed to visit her ailing daughter in a foreign country and was in urgent need of a cash loan. She had applied for a personal loan, but the bank was taking far too long to process it and so far, they were not even certain that it would be approved. Besides cash, if there was something else, that Hilary was really short of right now, it was time! In a quandary and unable to find a way out, she sought out her neighbor’s opinion. “What do you see on that highway?” Mr. Hopkins, her neighbor, asked her when she went to him. “I see cars and other vehicles driving by!” she replied, wondering what it had to do with her problem. “Well, Hilary, when I look that way, all I see is ‘cash’ driving by on that highway!” he told her smiling. Being the owner of a company, that gave out cash loans against car titles, Mr. Hopkins, couldn’t be more right! Fortunately, for Hilary, her newly purchased car came in use, when she needed it the most. Not only did she get the loan amount she required in cash against it, but also got it within the same day! If you are wondering, what a car title cash loan is, ‘Investopedia’ defines it in the following words- “A short-term loan in which the borrower’s car title is used as collateral. The borrower must be the lien holder (i.e. own the car outright). Loans are usually for less than 30 days. If the loan is not repaid, the lender can take ownership of the car and sell it to recoup the loan amount. ” So, to avail a cash loan against your car, you are required to possess a clear car title. As long as you have the necessary documents to prove, that you are the sole legal owner of your car, you become eligible to get a quick cash loan, against your car title. There are a number of reasons why an individual requiring quick cash, would opt for a car title loan. While the primary one of course, is that he/she does not have any other source of getting the dough he/she needs, which may be due to not having a credit card or a bank loan or adequate savings; there are plenty of other reasons too! The process involved in getting a cash loan against a car title, is extremely simple. All that a customer needs to do is, fill in an application form, submit the necessary documents, have his/her car evaluated and get the necessary cash in hand! The application form for a quick cash car title loan can be filled out online or at the office of the car title loan providing company. The documents required, usually include a photo identity proof, a residence proof, a proof of income and a clear title of your vehicle. Getting cash against your car title is usually not a time taking process. It involves driving down your car to the title loan company office, having its financial value assessed, your documents verified, and your loan amount, will be approved within a day or two. Some companies also offer to process cash title loans within hours or even less! The reason why car title loans can be processed this quickly, is because, these do not require any credit checks to be performed. This means that, even if an individual has an unfavorable credit history, he can still avail this quick and easy cash loan. Eliminating credit checks, not only reduces the time taken to process the loan, but also leads to a high rate of approvals, unlike in the case of bank loans. However, the best part about a title loan is that after getting the required cash in your hand, you get to drive home with your car. The only thing that you are asked to leave behind is your car title documents. And, you can have them back too, when you pay back your title loan amount! While a title cash loan comes quickly, easily and conveniently, it will work in your favor, only if you take certain precautions. Car title loans are secured loans, in which your car is the collateral. The risks involved in this loan transaction are that, if by any chance you are unable to pay your loan amount, you will lose your car! And, sadly, the financial worth of your car will obviously be more than the loan amount you borrowed. Moreover, you need to pay attention to the interest being charged by title loan companies; so that you know exactly how much your short term and long term payments will amount to. The best approach to handling car title loans however is paying them off as quickly, as possible! This article was written by Melinda. Edwards. Filw, a financial writer, who believes, that availing a cash loan against your car, is advisable if you need cash fast. We all know the basics to keeping our car running such as checking oil levels, tire pressure and driving carefully. However, there are some things that aren’t checked during car servicing. If you really want to look after your car and pay very close attention to the small details, follow these somewhat unknown tips. Much like a new shoe, cars need to be broken-in. During this break-in period, it’s important not to speed excessively; generally speaking 88kph (kilometres per hour) is the limit. However the car’s manufacturer may have a different guideline for you to follow, so stick to that. Usually this speed limit only applies for the first 1,600km. In the early stages of your car’s life, only use medium acceleration, preferably keeping below 3,000rpm. This can prolong the life of your engine and even eliminate the need to bring your car to a pre-nct testing centre, as you will be sure to pass with flying colours. Usually the only thing people need to remember about fuel is whether their car takes petrol or diesel. However, here are a couple of good tips regarding fuel. Only go to well known petrol stations such as Maxol, Texaco etc. as smaller, independent petrol stations may not treat their fuel properly, thus causing damage to your car. Smaller stations may not have pump filters to get rid of dirt, or they may even water down the petrol to get more out of it. If there is a fuel tanker filling up the petrol tanks, your best bet is to go elsewhere. You may think ‘Oh, but surely that fuel will be freshest?’ That is true; however when filling the tanks, dirt and sediment can be stirred up from the bottom and can damage your car. Wait a day for it to settle down before going back. Even this can lessen the need for a car servicing and inevitably save you some money. A little known fact is that a hanging your car key on a heavy keychain does your ignition no good. As you drive along, with those dozens of keys bouncing and applying weight and pressure to your ignition, it can eventually lead to ignition switch failure. Protect the interior of your car from sunlight by investing in shades for your car. Not only do these prevent fading of your seats and dashboard, but they also help to keep your car cool when parked in the sun. Make sure that the weather-stripping along your windows and doors is tightly sealed and not allowing any rain to get in. Loose weather-stripping can cause dampness and mould and, let’s face it, who wants to deal with that? The simple solution is to replace any worn or torn weather-stripping, available from any motor shops in a large variety so you’re sure to find some that matches the original. If your car scraped or scratched, be sure to treat these immediately, as giving it time will allow rust to form. If you follow these top tips, even a car servicing garage will be impressed and may even ask you for advice! Written by Alex Girardi, who recommends Atlas Tyres and Auto Centres for cheap car servicing. Many parents actually fear having to teach their teen to drive. That said teens can often start bugging their parents to teach them how to drive once they become 18. So, parents now have a rather difficult decision to make i.e. should they teach their kid how to drive or send them to a driving instructor. If you have taught people how to drive before then you should be able to teach your own kid how to drive. But if this is not the case then it is best to enroll your kid into a driving school. This is especially if you live in a densely populated area where there is no way for you to teach your kid the basics of driving prior to taking them on the road. Probably the biggest benefit of teaching your own kid how to drive is it’s free. There are some professional driving schools that can be very expensive. This is why teaching your kids how to drive will save you money but it will take up a lot of your time. You will need to take the time out every day perhaps around the same time to teach him or her how to drive. Teaching a teen how to drive is also stress and there will be arguments too. If your teen loses his or her temper easily and argues it is best that they be sent to a driving institute. Probably the biggest benefit of choosing a professional school is that you can be assured that your teen will learn how to drive safely. Instructors are familiar with all the latest laws, rules and regulations and so your teen will learn exactly what they should in order to keep themselves safe on the road. There are a number of insurance companies that may offer discounts to students who have learnt how to drive from a driving institution. Some of these insurance discounts can be as high as 15% off their regular premium. So the investment of sending your teen to a good driving school can help to save you quite a bit of money in the long term. Probably the biggest drawback of a driving institution is the expense of the classes. There are some schools that will charge as much as $50 an hour. You also need to factor in the expenses of traditional driver’s education classes. So when you add all these expenses up the cost of choosing a professional school can easily be a few hundred dollars. The other con is the fact that schedules for good schools fill up quite quickly. This means that teens often have to wait for days if not weeks for a driving lesson. This can translate to less time behind the wheel of a vehicle. That said driving is best learnt via firsthand experience but many classes offer relatively less driving time. This will then have to be made up with a few lessons at home. However, there are institutions in Australia that offer more time behind a wheel post hours behind a simulator. Before you enroll your kid into a driving institution make sure to first check the schools credentials. Also, find out how much time your child will be getting behind the wheel. If all sounds good only then should you pay the initial signup fee. Avi is a professional driving instructor, car enthusiast and works for www.aasprint.com.au. He loves long drives on lonely loads. Pass your driving test the first time and become a safer driving by following our top tips for success. Every learner driver would love to pass their driving test first time, but unfortunately not everyone does. Although the latest statistics from the Driving Standards Agency reveal that 50% of men and 42% of women pass on their first attempt, it still means that a high number of young would-be drivers are walking home disappointed. It’s worth remembering that passing your test doesn’t automatically make you a great driver. Statistics show that a fifth of new drivers are involved in a crash within six months of passing. So how can you pass your test first time, while cementing your status as a safe driver? By following these top tips, of course. Even if you didn’t pass your test first time, these tips will help you to understand where you might be going wrong: and are sure to help you to take on whatever obstacles the road ahead might pose. Don’t be overconfident. Being cocky results in poor risk assessment, and you could end up causing an accident. Your instructor’s not likely to be happy when you bring the test car back in dire need of windscreen repair or a new paint-job. Do be relaxed. Practicing relaxation techniques will help you to calmly take in your surroundings and react safely. It’s also a good way to stave off tense muscles during the test itself; there’s nothing worse than failing a manoeuvre because your leg just won’t stop shaking. Don’t pick up tips from other drivers. People who already have their licenses often acquire bad habits on the road, like driving one handed or not indicating on roundabouts. These unsafe attitudes might cause accidents, and will definitely land you with a big fat fail. Do be an active passenger. When you’re in the car with friends and family members who already have their licenses, pay attention to the road and think about what you would do in their situation. Keep your thoughts to yourself, though: nobody likes being told off by a newbie. Don’t put pressure on yourself. It’s a wise idea to tell as few people as possible that you’re taking the test. It’s not about superstition; it’s about avoiding excess stress. On the day of your test you’re already going to be feeling nervous, and knowing that your entire social circle is waiting to hear the result can easily push you over the edge. Being panicked can also cause accidents, as it makes it difficult to think critically. The date of your test should be on a strictly “need to know” basis. Do practice as much as possible. If you can’t schedule in extra lessons with your instructor, beg a friend or family member to take you out in a dual control car. Make sure they have a full license and are over 21. Take a lazy drive out into the countryside or practice some test routes. Even if it’s an aimless drive, you’ll still come face to face with interesting scenarios that might have flummoxed you in your test. Don’t Take your friends advice as gospel. If they take you out driving you can ask them for help, but remember to check if they’re right by asking your instructor the next time you have a lesson. As mentioned before, seasoned drivers often have unconventional ideas about what is safe and what isn’t. Your best mate might think it’s okay to bump up on the kerb during a turn in the road, but you know better. Just like it goes with shopping, in most cases the lowest cost may not necessarily be the best value for money. While most of us want to save some money when looking for special services, you want to go beyond cost when trying to hire a limousine in Brisbane. Depending on cost alone could let you end up with a bad service and, as such, you need to know what factors to consider when making such an important decision. Don’t be fooled by the friendliness or otherwise of the people you are dealing with, your safety is always in having a signed agreement for the deal you have entered into. Such an agreement will be specific regarding every detail including the type of vehicle, the value, the timings and every other important detail. Always make sure you understand everything that is written and if not, it’s your right to seek a clear explanation. You must see the limousine you are paying for physically before you make a commitment. There are limousine companies in Brisbane that will show you a photographic inventory of the latest limos on their brochures and internet sites but in real sense they don’t own such vehicles. You don’t want to find yourself in a dilapidated ramshackle when you thought you were paying for some classic vehicle to make an impression. When you receive a quote from a company for their limo, make sure they are clear what the price they gave you actually includes. You don’t take it for granted that the price includes other charges such as service costs, parking fees, fuel surcharge, tolls, and driver gratuity among others. You want to be sure about what your total expenditure will be lest you get surprises at the end of the day. Just before you append your signature on that contract; it will be prudent for you to check their track record. It is always important for you to know how long the company has been in business and what former customers have to say about their services. You can easily get this information by reading the review section of their websites or better still, check their ranking at the local Chamber of Commerce website. The quality of your trip using a limousine in Brisbane will directly depend on the quality of the chauffer you get. You want to be sure that this company screens their chauffeurs and that all of them are certified since your safety also depends on this individual. The article is written by Mohit Jain who writes for Brisbane Executive Limousine. The company is based in Brisbane, Australia and provides the finest executive limo hire in Brisbane.